As Western sanctions against Russia stepped up a further gear last week, a contractual dispute brewing between France and Russia threatens to have legal and economic ramifications. 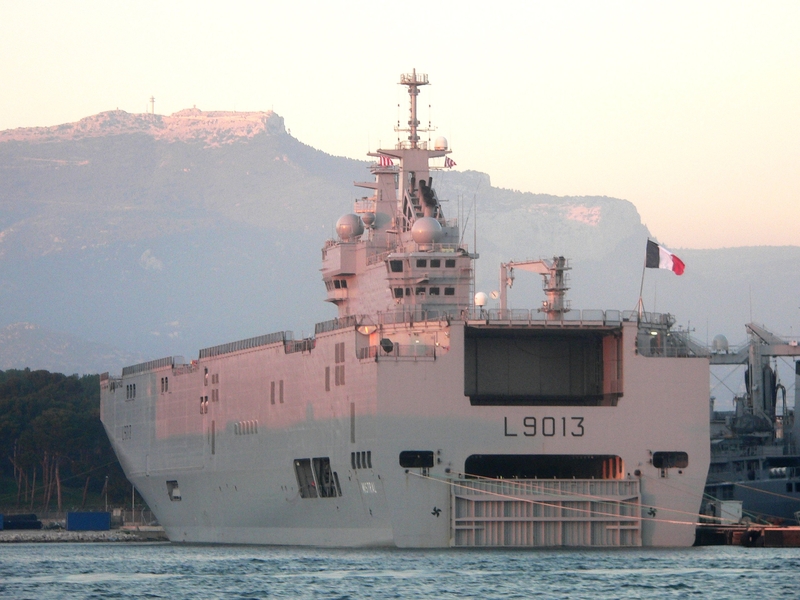 It all started back in 2011 when Russia commissioned France to build two Mistral navy assault ships (bâtiment de projection et de commandement, or BPCs) for a cost of €1.2 billion. However, in recent months France’s participation in the venture has been brought under increasing scrutiny amid growing tensions over Russia’s continued involvement in the unrest in eastern Ukraine. The French government initially resisted pressure to halt the delivery, saying it would respect the existing contract. This entry was posted in Eastern Europe, Economy, Europe, Law and Justice, Politics, Russia and tagged France, Hollande, justice, Mistral, NATO, Russia, Russia sanctions by Ruth Green. Bookmark the permalink.